This hexagon base made the stamping so easy in the MISTI - I could keep the stamp in the same place for each layer, and just rotate the card (I should have masked and done all 6 sides, but I'll save that for another day. I love the detail in these roses. Aaaaand I forgot to write down the colors I used... so sorry about that. I know the base red is Versafine Satin Red - I love that ink. So vibrant, and it dries quickly - my favorite feature of the Versafine line. The words here are a die cut - love all the flourishes! I wanted to make a second card to encourage those who might be afraid of layering stamps because it looks complicated or you're afraid to 'miss'... For this card I used the second, fourth, and fifth stamps in the set with generous amounts of water to give myself some wiggle room. Since it's a faux watercolor look, there's no need for precision. I love the way this ink bled into the background, and again, I didn't note what inks I used.... I'm guessing Distress though, because of the way it feathered. The Vintage Postcard set is another one that you may have or recognize from past designs. It has a few tiny updates, and I'm so happy to have it in my collection at Impression Obsession! LOVE it!! Need to add to my wishlist! Absolutely lovely! That second card with the technique you used is gorgeous to say the least <3 Love your line of flower stamps Dina!!! These are beautiful and the roses look real! A must have! Wowza! Gorgeous flower stamps... I think the watercolor is my favorite... love these! Wow Dina! Gorgeous cards. I especially love the watercolor card, breathtaking. Can't wait to play with some of these new IO stamps. 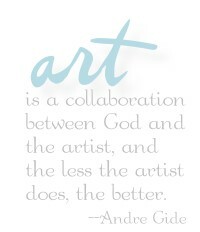 Both are soooo beautiful Dina; thanks for sharing your amazing work with us! Oh. My. Word. Both of these cards are exquisite! I love the watercolor soft look and the hexagon reminds me of English paper piecing! I love these cards!!!! They're so cute!!!! I am aHUGE fan of any of your work! Love this! Wow! You have definitely upped my interest in the layering stamps! I'm hoping you showcase the sunflower soon! Each of your cards is amazing! W O W!!! These cards are spectacular. I liked this rose set before, but am in LOVE now. And I need to go look for that postal set also!!!!!! Beautiful cards with these stamps. wow... gorgeous layered flowers! I love the watercolored one with its soft colors! Beautiful! This is a stunning card. The roses look real!! I really like these flower stamp sets! Card two is gorgeous!! Outstanding!! I was hoping there would be other flowers when I saw the sunflowers!!! These are GORGEOUS!!! Can't wait to get them!!! The second card is gorgeous!! Outstanding!! Gorgeous! Spot on. Love the coloring! Wow, I love the shape of the first card and colours used on both. I have not yet been adventurous to use unique shaped cards, but this one is gorgeous. I love how you show that the roses can be both striking like the first card and soft in the second. So pretty! Love that you showed us different ways to use these stamps. I love how you used them for the shaped card, how fun! Thank you for sharing. Your coloring techniques make your cards look so realistic! Oh wow!!!! Excuse me while I pick my jaw up off the floor! Both cards are absolutely breathtakingly beautiful and those stamp sets.. What can I say but I really do need them and want them!!! I have some layering stamps that I have never used because I didn't understand how to use them. Now I see. I love your stamps and your Cards, beautiful! Wow~Wow~Wow.....totally gorgeous cards...those Roses are beautiful...I LOVE this set! The no line watercolor is so beautiful/ Well, they both are but I really love the watercolor one! Must look at buying some of these flowers! Fabulous. I love doing the multi layer cards and these new sets are wonderful. Using the hexagon was something I never thought of and can't wait to try. Yeah, MISTI. Best tool I ever bought. 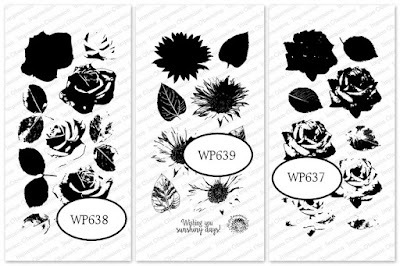 Your rose layer stamp sets are beautiful. The first card almost looks like a photo of the roses. Those roses are so beautiful and they look like original watercolors! Love them all. Dina yur cards are always so beautiful. Thanks for sharing the roses! WOW....your first card makes the roses look soooooooo REAL! Great job Dina. The second is lovely too - a softer look, but well worth your effort! Like them both!!! Thanks for sharing your artistic ability and inspiration!!! 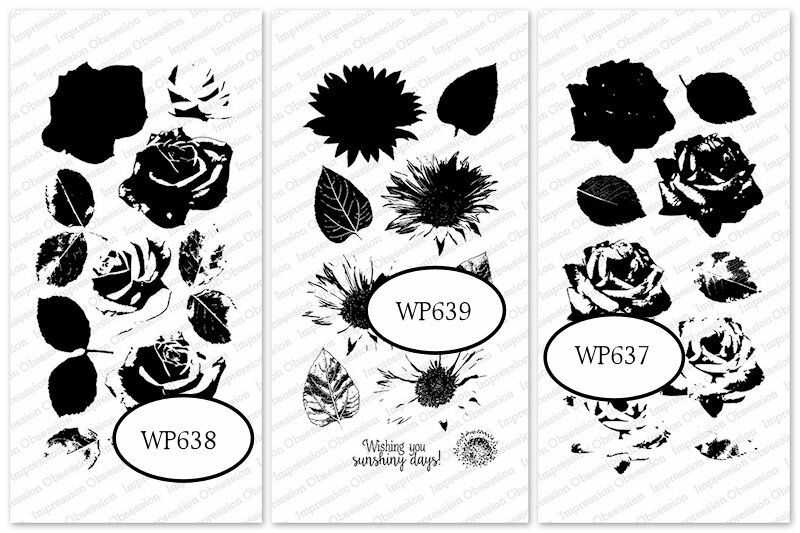 The new layered floral stamps sets are gorgeous, as are your lovely cards! I love this rose Stamp and your cards are gorgeous! Awesome, wonderful cards. Especially love the rose card. Wonderful cards. Especially love the postcard. Your coloring is so amazing. These are GORGEOUS!!! Love 'em both!! Wow! Gorgeous cards! I love these new floral stamps. They're so pretty! Wow!! Both cards are amazing, Dina!! I love the boldness of your first card with the colors you used and the second card is beautiful in its softness. Two totally different looks. The roses in your first card look so real. The roses in the second card are soft and muted. Both cards are lovely. Gorgeous cards!!! Congrats on your new sets. love the roses, great stamps! Beautiful cards! Love these layered roses, especially the softness of the feathered roses in your second card! Gorgeous!! Love the florals & your cards! Beautiful roses, so realistic with their layering! I love your faux watercolor roses!! How & when did you apply the water to do that? I love your rose set since I love roses and have been intimidated in coloring images of them so I love the concept of the layering, no line design for ease and such a realistic look! I'm excited for the sunflower set too, another fav flower of mine! Love the layered watercolour roses card. The roses stamps both sets are exactly the ones I have been looking for. Roses are my favourite flower. Beautiful, beautiful roses you have created with the lovely stamp!! You're making me want that one too!! The roses look life-like. Well done, Dina! WOW!!! The roses in the first card look so REAL. I am so impressed with how you did the inking!! Your second card is SO BEAUTIFUL!! Would love to see a tutorial on both the cards. You are an extremely talented artist! These are the most realistic stamped roses I've seen yet. 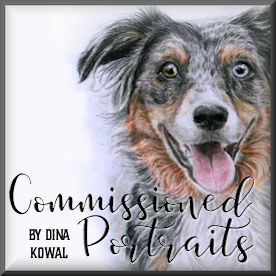 So Beautiful, Dina! Thanks, Paulette S.
Beautiful and so life like!! I love the products IO are great. Thanks for the nice party. Very beautiful cards. Beautiful job on both cards. The roses look wonderful. Wow, love both of them, the realism in the first roses and the watercolor effect in the second. I'm a newbie and learning so much! OMG!!! These cards are stunning! I have such a soft spot for these layered stamps. They always seem to come out so beautifully. Love the layered stamping. It's gorgeous. Both beautiful. Oh that second one takes my breath away! It's so painterly. Love it!